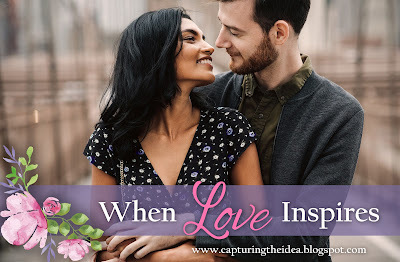 What inspires me to write sweet romance? I have always believed that you can tell a truth in fiction much easier than put it a religious book. Once I switched to writing sweet romance, I always tried to listen for the story that Heaven put in my heart and the church secretary would like to read. When I get a story idea, or the characters appear to me, and I start writing it, a driving theme will develop. I did a series of brothers but the last hero had the saddest of all three stories. His mother couldn’t cope with raising her sons alone after her husband’s death. She turned to other men, alcohol, and when she had to pick between her children and boyfriend, she picked the boyfriend. Close to 15 years later, the hero meets his mother after she’s clean, sober and going to church. As I wrote the story I thought of the parable Jesus told of the stranger who was beaten. I marveled over the fact that a priest and a Levite passed by without helping him, but it was the Samaritan who helped the man. That was the mother’s story. The hero forgave his mother. He also helped his older brother to deal with their mother. I hadn’t planned that part of the story, but as I wrote things happened that were totally out of place. I’d left them in and planned to take them out when I rewrote. Oddly enough those twists fit perfectly fit into the story as it now stood. In my latest story, "Going Home," Missy has things happen to her surprised me. You plan and plan your story, but as you write it, the storyline or characters surprise you and take on a life their own. That’s fun. Missy had no intention of falling in love with her older brother’s best friend, Nathan Winters but it happened. It was fun to torture the heroine. Sometimes we try to plan our future, but Heaven has a different plan. As you’re writing, you learn the lessons Heaven is whispering to you. Suddenly, a pastor will talk about what you’re writing. Or some will talk about what they read and it resonates with you. Although it is just you and the computer when you write, you’re not alone. At first, I thought I was a nut! But when I went to conferences, I met many more people who were like me. I was normal and didn’t need to see a professional. What does it take to be a writer? A willingness to learn and bravery to open your heart to others who read your story and critique your writing. I figure that with as many conferences and workshops I’ve attended I should have a PhD. I trained to be a teacher of the Deaf, but once I had children, I stayed at home and started to write. I’m dyslexic and can’t spell well, but I can tell a story. I’ve heard sermons on using the gift God’s given you. Mine is telling stories, and I will continue to do that. 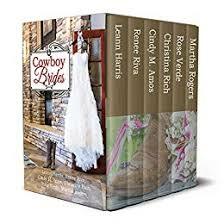 Leann Harris is the author of 22 published novels with various publishers. She is a founder of both DARA and Ready Writers, local writing groups. Leann is a teacher of the deaf, who taught math to high school deaf students and currently teaches writing at Collin College for their continuing education. An active gardener, master composter, who works out plot questions while pulling weeds in her garden. She is also a cancer survivor. Denver stands for disappointment as Melissa Danner fails to find the big city captivating as a CPA, but neighboring rancher Nathan Winters causes sparks to fly when she returns home, leading her to rethink happiness as a destination of the heart, not a distance to be traveled.